Wheat better way for a group of pro skiers to show their appreciation for the National Park Service on this the year of its Centennial than to carve through some fresh powder. 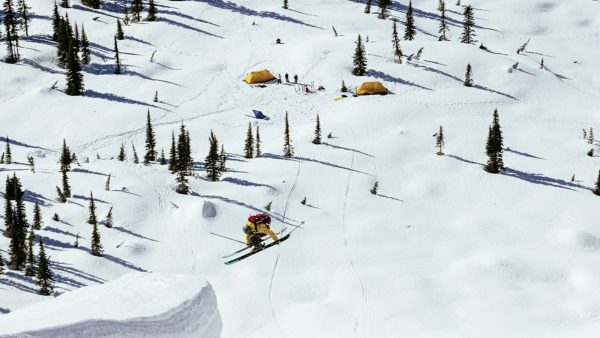 As a tribute to the 100th anniversary of the park service, POWDER magazine has teamed up with KGB Productions and a group of professional skiers to create the upcoming film Monumental: Skiing Our National Parks. Calling it a ski film unlike any other, the film pays “homage to these monuments of nature and solitude, reminding us skiers where we came from, and that we belong to something greater than ourselves,” according to an release announcing the film. Follow contemporary explorers through the lens of KGB Productions with skiers Andy Mahre, Lynsey Dyer, Griffin Post, Colter Hinchliffe, Kalen Thorien, Greg Hill, Max Hammer, and Connery Lundin at Yellowstone National Park, Yosemite National Park, Grand Teton National Park, Glacier National Park, and Olympic National Park. In a prelude to the film’s release Sept 21, the magazine posted the following trailer.